One of the few born and raised, native Calgarians! I graduated from the KDM dental assisting program and now have over 15 years’ experience working in the dental industry. My favourite part of my job is catching up with patients and finding out what’s happening in their lives. It is important to me to build that rapport with our patients to make them feel at ease and comfortable in our practice. I also enjoy working for a skilled dentist who stays on top of continuing education and cutting edge technology. Outside the office, nothing fills me with more joy than my French bulldog, Tony. I also try to volunteer as much as possible for causes close to my heart, typically involving children and animals. I have been a dental assistant for 12 years now, having graduated from Columbia College in 2006, when I was paired up with Dr. Kellen Smith as his very first assistant. 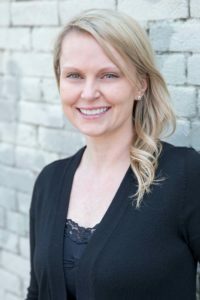 We reunited in 2012 here at Welcome Smile Dental and I enjoy working in all aspects of the practice from chairside assisting to administrative duties, and wherever else I can be of assistance to the patients. Outside the office I love to travel, go camping in Montana, and spend time with friends, family, and my Frenchie Frankie. What Do Our Dental Assistants Do? At Welcome Smile Dental, our Intra-oral, or Level II dental assistants, are multi-skilled health care professionals who possess a diverse knowledge base. They effectively perform clinical and technical skills. Their education and training, professionalism and experience – coupled with provincial registration and licensing – qualify them to perform a variety of supportive and direct patient care procedures. Intra-oral dental assistants prepare for and support patients in treatment by practicing universal precautions and infection control. They attend to the patient’s comfort and support in updating patient health histories. Intra-oral dental assistants help perform a variety of clinical procedures. They assist Dr. Kellen Smith with the administration of anesthetics, general dentistry and specialty procedures. They perform preventive and prosthodontic intra-oral procedures as well as post-treatment care. These may include temporary crown placement, preliminary impressions, coronal polishing, dental dams and fluoride. Intra-oral dental assistants expose and process dental radiographs for use in treatment. They also provide oral self care, disease prevention, post-operative care, nutritional counseling and dental health education to patients. Jamie, Candice & Laura look forward to meeting you and your family! At Welcome Smile Dental we are Always Welcoming New Patients! Call Us at (403) 261-8855 to book your appointment today! 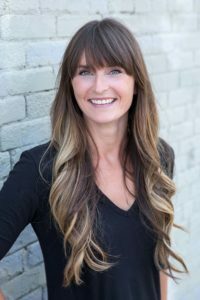 Downtown Calgary Dentist on Memorial Drive and Edmonton Trail NE serving Downtown Calgary, Bridgeland, Rotary Park, Renfrew, Crescent Heights, Sunnyside, and area.